As January comes to a close, I’m really getting into the swing of classes here. For the first two weeks, we took an intensive British politics class taught by one of our UGA professors, but now, I’m officially taking tutorials like an actual Oxford student. Oxford is run on a slightly different system, so I typically spend less time in classes and much more time reading and writing. 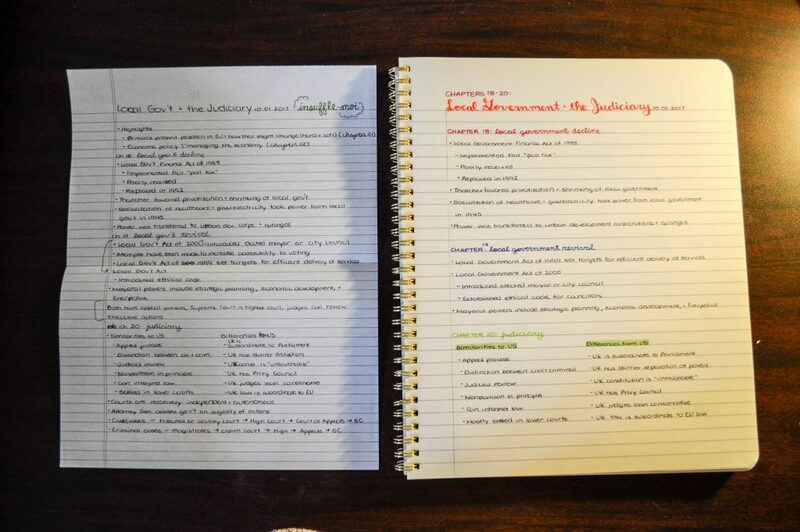 However, much of my note-taking and organization style has stayed the same – and that’s what I’m talking about today. 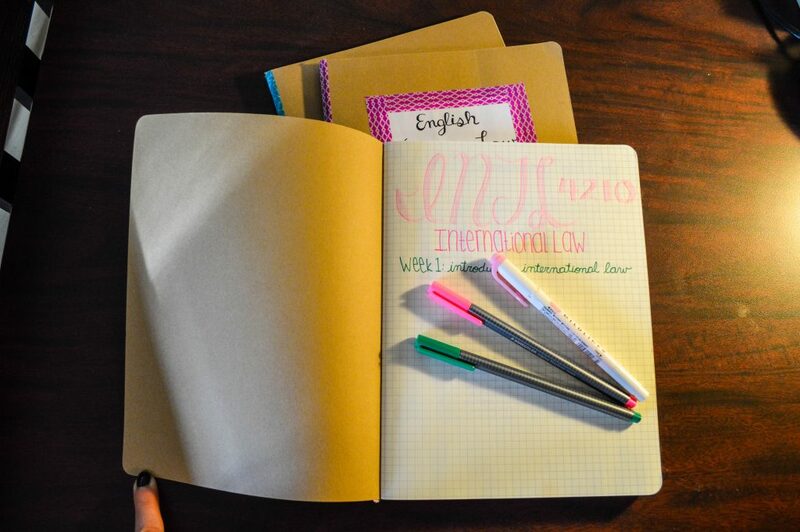 I actually really love decorating notebooks – while there are a ton of cute notebooks out there, decorating them yourself is also a ton of fun and super easy. Plus, “cute” notebooks always tend to be less practical, and I really love grid paper for taking notes. Therefore, I get these Cahier notebooks from Moleskine and make them my own. 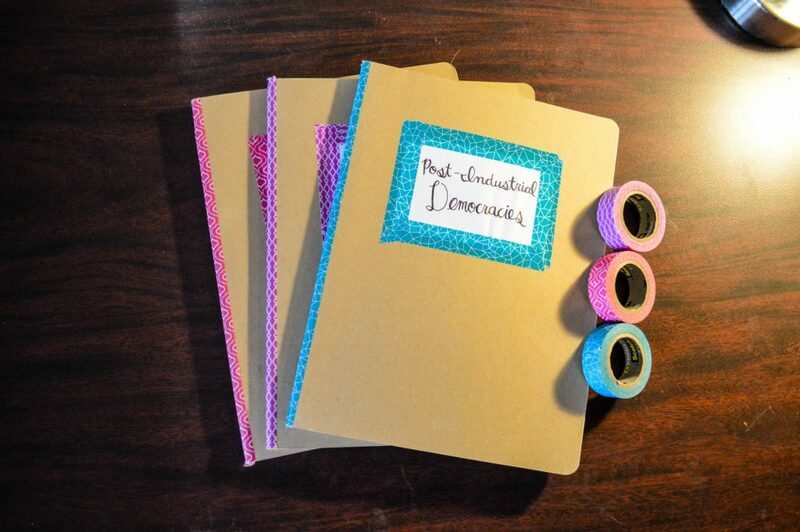 I did all three of these with washi tape and some printer paper. It was cheap and only took 15 minutes, and I really love how they turned out. Having a neat title/table of contents page allows you to organize your notes and see what you covered each week. This makes reviewing the overall themes of the course much easier because they’re all laid out in front of you (which is particularly useful when trying to revise). Here’s a page of reading notes. It’s pretty text-dense because I’ve been working through a lot of complex articles recently, but sometimes they’re a bit more visually appealing. I don’t regularly take reading notes for my more lecture-based classes, but since Oxford tutorials rely upon being able to remember 100 pages of reading for a 1-hour-per-week session, I’ve picked up the habit. Here’s an example of how my notes usually look for seminar/lecture-type classes. I take notes on a basic notepad, and after class, I re-copy them into a notebook so that they’re a bit more organized and visually appealing. Although this may seem like a waste of time to some, it’s a really wonderful way to review the material you went over in class and organize it in a way that makes more logical sense to you. Happy studying – I’ll be writing another 2,000 word essay if you need me! 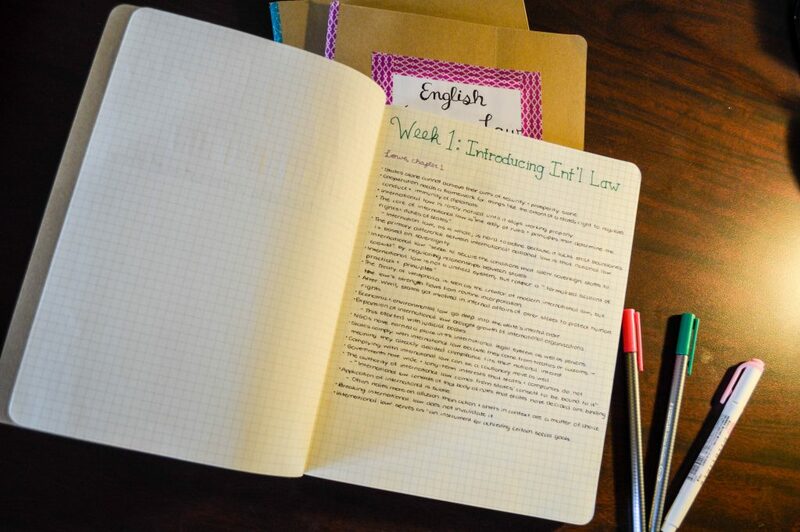 I love this idea, anything to make notes more fun and more enjoyable.